This brand new luxurious gated community is located on the beautiful Lake Cay, situated right next to the Orange County Convention Center and only a short distance from Walt Disney World, Universal Studios and Sea World Adventure Park and even closer to Sea World's Waterpark, Aquatica. 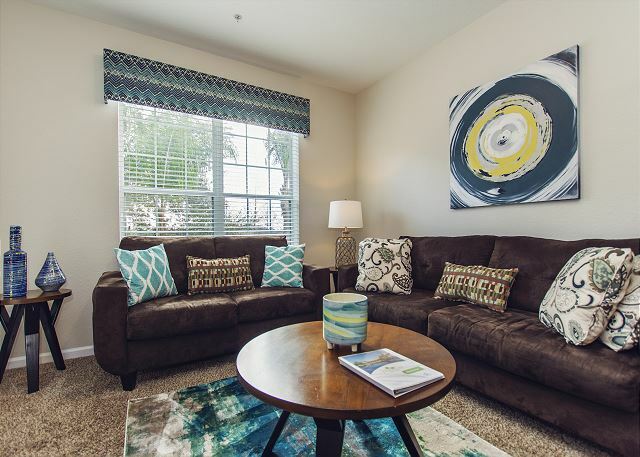 The Isles at Cay Commons is located in Orlando’s newest development, Universal Boulevard and is at the center of some of Orlando’s greatest experiences. Not forgetting, that this wonderful resort is only a short drive from Orlando International Airport. A guest from Bellevue, NA US recommends this vacation rental. Adrian G. from England, FL United States recommends this vacation rental. This was our 2nd rental of 3 months in this apartment. We must have been satisfied otherwise we would not have returned for a 2nd time! Ideal location for us and the perfect apartment for our requirement - well furnished, well maintained and a management company which bends over backwards to provide an excellent service.